In a tiny woodland cabin in a pristine and beautiful wilderness, JoAnne Kimmel creates her beautiful, unique, skin-nourishing natural soaps. Owner and creator of Wildrose Lathers, named after the many wild roses in the Nemiah Valley where she lives, Kimmel makes soaps that are lovely to use, and good for your skin. “Making something good for your skin is really important to me,” she explained. “I use things like shea butter and avocado oil, and add herbs and oils that are purely for the benefit of your skin. 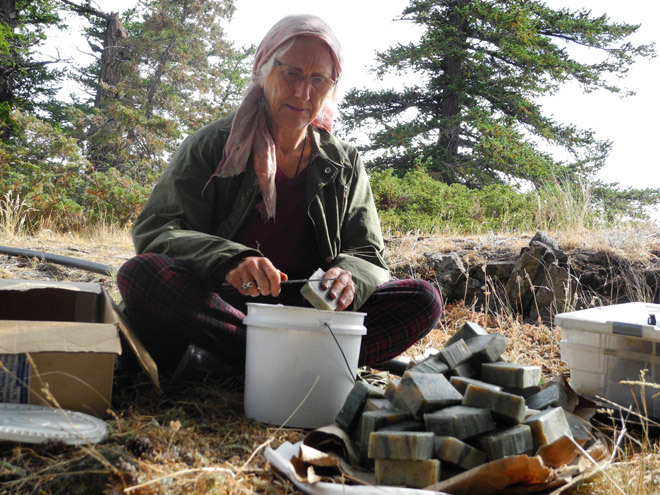 Her soap-making began when she was living outside Lillooet. “I got inspired when I went to visit my son, who was going to school in California,” she said. “I stopped at a market and bought a bar of soap from a woman, as a gift. I tried it out myself—it was beautiful,” she said. “It seemed to nourish my skin—and felt really nice. It was the quality that convinced me it was something I could get into. “I thought, ‘if this was soap, I’d use more!’ A friend I was staying with suggested that I tell the soap maker I wanted to start a business in Canada, and ask her if she’d show me how she made her soaps. She was happy to do so, and turned me onto the books she thought were the best resource, and told me I could call her anytime, which I did over the years. Kimmel said a friend went in on the business with her, and they made soap for three years, before she went out on her own. 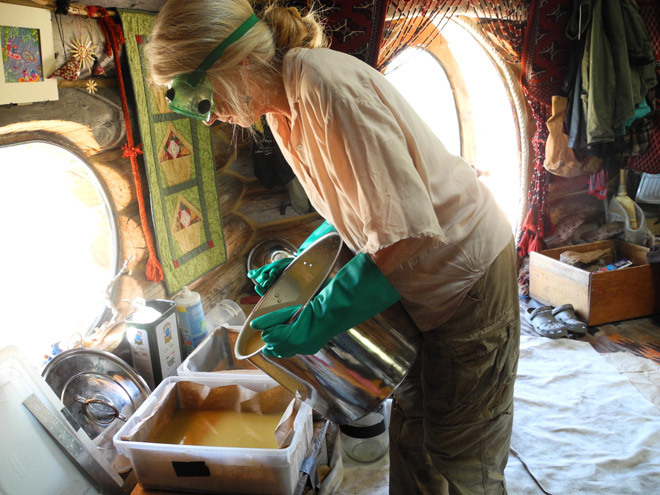 “It was a very intense process, and would take all day to make the soap. Today, on a good day, I can do it in four hours,” she said, adding that your mind has to be awake and clear. Kimmel has been making soap in the Cariboo now for approximately 14 years, from the spring to fall season. The soap takes half a day to make and at least two weeks to cure, and is usually made every three days. She travels from her wilderness cabin six to eight times during the soap-making season to deliver approximately 2,000 bars of soap to town. 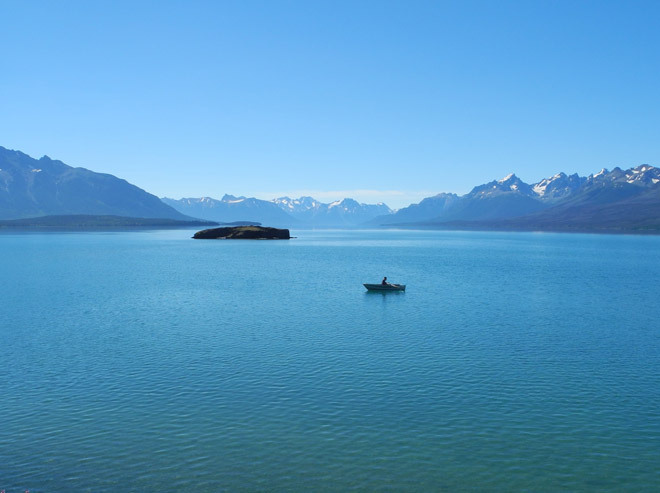 She makes the journey by boat followed by four hours of driving, three of which are on a dirt road. During the winter she rarely goes to town at all. The aromas Kimmel uses are true—there is nothing synthetic. “I use all-natural ingredients,” she explained. “My goal in each bar is to make the scent as true as possible, such as the most beautiful rose you could ever find. I make the scents strong so it holds and stays in the bar. She said it’s like making bread. “You never really know what you’ll come out with. Each batch is unique in a certain way, and it’s the same with soap, which is far more complex,” she added. 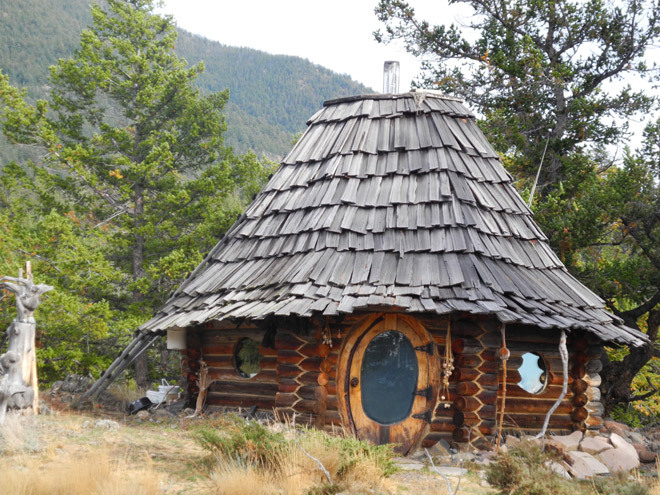 Her soap is sold at The Hobbit House, The Gecko Tree, and Sta-Well Health Foods in Williams Lake, at Higher Ground Natural Foods in 100 Mile House, and at Cariboo Honey and KC Health in Lillooet. She will also be selling her soaps in person at the Medieval Market in Williams Lake on November 25 and 26. She said it makes her feel wonderful when someone buys a bar of her soap. 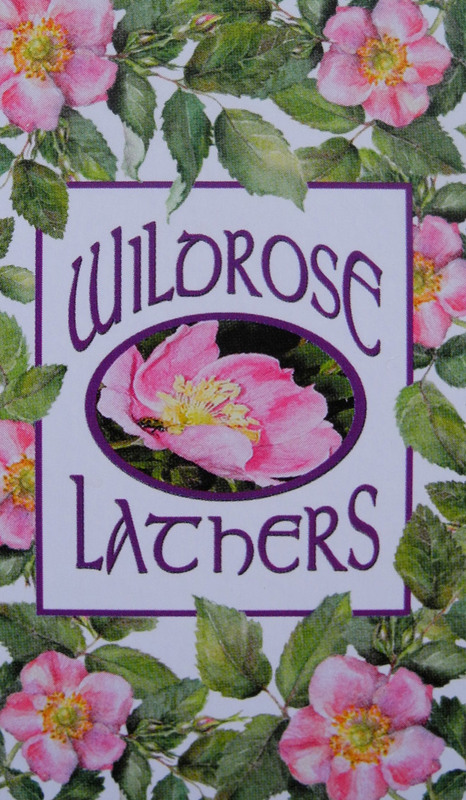 For more information about Wildrose Lathers, visit www.wildroselathers.com, phone (778) 784–2300 or email wildroselathers@gmail.com or follow her on Facebook. I bought some of her soaps in 2016. They were beautiful for the skin. The best soap I’ve ever tried. I want to buy more. I wish I could place an order from her directly.